R. Zaccaria). References. Subject Index. The volume applies to the study of the motor system the computational approach developed by David Marr for the visual system. 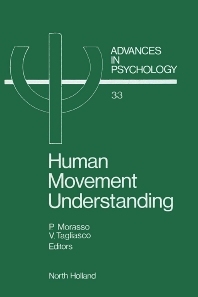 Accordingly, understanding movement is viewed as an information processing problem, centred on the representation of appropriate computational structures. In particular, the book deals with the representation of objects, concurrent parallel processes, trajectory formation patterns and patterns of interaction with the environment. A number of modeling techniques are discussed, ranging from computational geometry to artificial intelligence, integrating very different aspects of movement, especially those which are not directly motoric.